Sensei Hollister began training at the age of 6 in Bujinkai Karate under his father Sensei Bill Hollister, taking his first grading on the 4th June 1976. In 1998, following his father’s retirement from training, Steve took over the running of Saltash Karate Club, which he now runs with his wife Hannah. 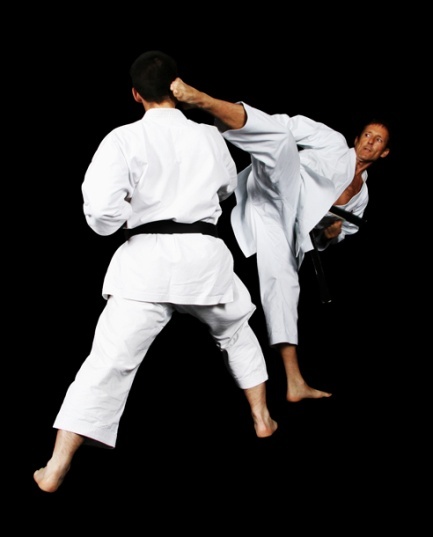 During his extensive competition career Sensei Hollister has competed in each of the last 5 decades! As a squad member with his previous organisation FEKO and since joining SEKU his competition credits include a staggering six World Championships and two European Championships as well as many more domestic titles. In May 2008 Sensei Hollister sustained a serious eye injury during a competition, and he was forced to retire from Kumite. 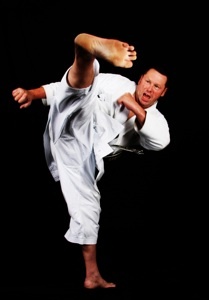 Later that year, he joined the SEKU coaching team as Senior Kumite Coach where his expertise and experience has helped develop many more champions! In December 2011, at a glitzy awards ceremony Steve was awarded The Plymouth Herald’s ‘Coachof the Year’ award. He was nominated by more than 500 members of the public for his efforts in bringing on talented young karate students and also for leading by example and striking gold at the World Karate tournament in Belgium in 2011. HIs award was presented byformer Olympic and World hurdles champion Sally Gunnell. Afterwards,Steve said he was more nervous on the night of the awards ceremony than at any of his previous martial arts tournaments!